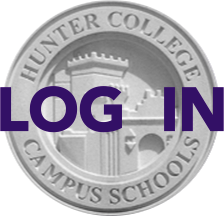 Would you like to get more involved in Hunter College High School? Consider serving on the PTA Board for the 2015-2016 school year. There are 17 elected voting positions; board terms are one year, from the end of one school year to the end of the next. Click here to see the preliminary slate of confirmed candidates; elections will be held on Wednesday, May 20 at the PTA Meeting. Read on for more information and links. There are a few positions remaining with no candidates, but please note: You may also suggest another parent for a position. The nominations slate will be updated as new candidates come forward. As in previous years, many current board members have volunteered to stand for re-election (PTA by-laws allow a maximum of three terms in any position), and some have volunteered to run for a different position. Descriptions of all PTA Board positions can be found here. If you're not interested in joining the Board, you can get involved through one of our many committees, which are described on the same website page.